The mission of Make-A-Wish International is to grant the wishes of children with life-threatening medical conditions to enrich the human experience with hope, strength and joy. Founded in Phoenix, Arizona in 1980, when a group of caring volunteers helped a young boy fulfill his dream of becoming a police officer, Make-A-Wish is one of the world’s leading children’s charities. 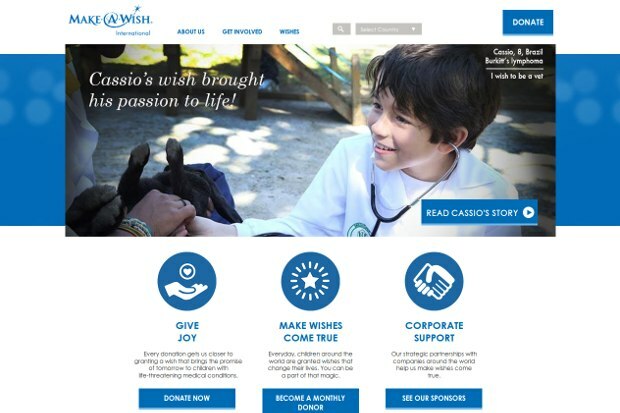 After the start of Make-A-Wish in the United States, interest in granting the wishes of children with life-threatening medical conditions quickly spread to other nations. In 1993, Make-A-Wish International was officially formed to serve the five countries outside the U.S. – and now helps to serve children outside the United States in nearly 50 countries on five continents through its 37 affiliates. With the help of generous donors and over 32.000 volunteers, Make-A-Wish has collectively granted approximately more than 334.000 wishes worldwide since 1980. Chris Greicius was the name of the child who had “The Wish That Inspired Make-A-Wish” : the creation of the organization was inspired in the U.S. in 1980 by the fulfillment of the wish of this 7-year-old boy with leukemia, who wished to be a policeman. His mother, several friends and a group of police officers, with the cooperation of the Arizona Department of Public Safety, granted his wish with a custom-made uniform, helmet, badge, and helicopter ride.